I have looked back at the last year of passive income. Really not good! Need to sort this out so that I gain more passive income from my savings rather than the dismal income I am getting at the moment. My ISA income is reinvested so can’t touch this. 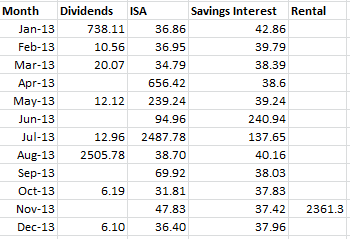 Dividends are outside an ISA so will incur tax. Rental will incur tax too.